With the increase of age, some people will encounter the hair loss and hair loss, especially for men. The wig will come in handy. After all, hair growth is not something that can be seen in a day or two. The wig is convenient and changeable. Has its own advantages. Therefore, it is possible to purchase a wig to carry out a variety of styling designs to highlight their handsome. This full hand tied hair toupee is easy to wear, straighten up to cover the entire head, and then comb it by hand. 1. This men's wig uses a glossy high-quality human hair, so this material wig has a good gloss and natural feel. This full hand tied hair toupee gives you the styling flexibility and the most realistic hairstyle look. 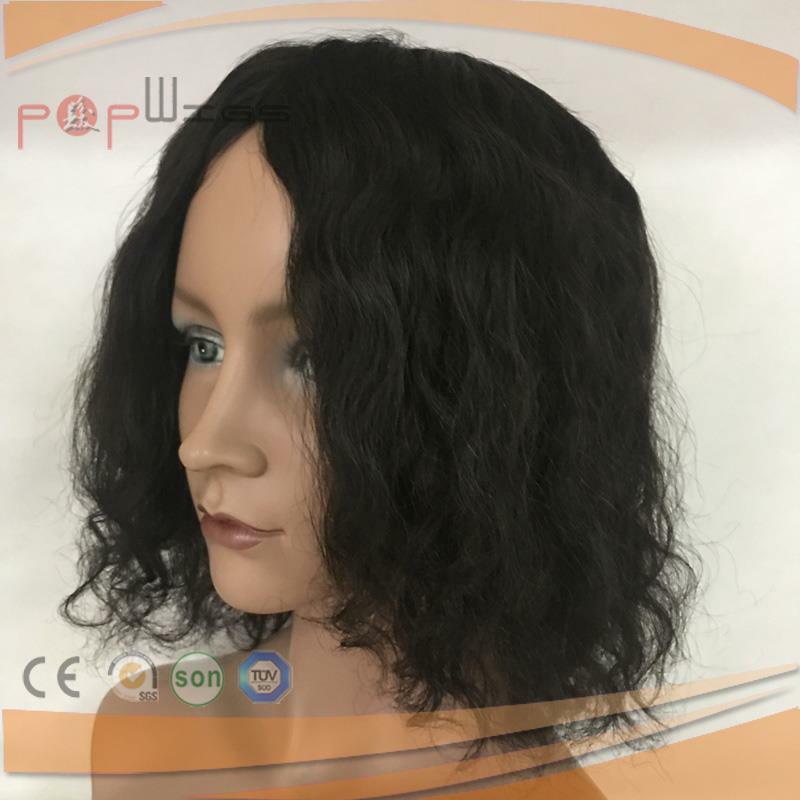 In addition, this wig is made entirely by hand, because the hair on the hair cap is made by experienced workers in our company. 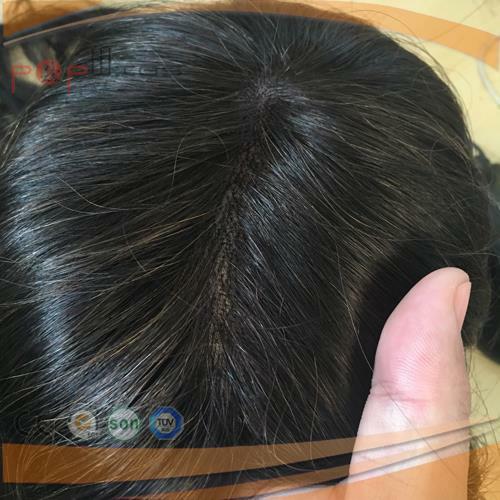 The mesh cap used in this product is made of high quality lace, which allows the hair to grow naturally and even in close contact. 2.In order to obtain an extremely natural appearance, the full hand tied hair toupee on the lace cap is carefully woven on the soft mesh hat by hand. This wig is made without mechanical stitching or weft. This hand-woven wig is a good example of the overall natural hair growth. The individual hair knotted to the mesh cap looks like a hair follicle growing from the scalp. This wig has great mobility so it can be separated and designed in any direction you want. In addition, since human hair can be designed using a heating tool, hand-knotted hair wigs provide the same infinite versatility as natural hair.